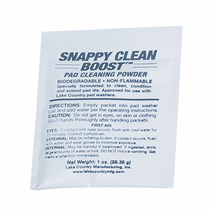 Snappy Clean Boost Pad Cleaning Powder is a specially formulated cleaning and degreasing solution that keeps pads clean, soft and supple. This water soluble solution is biodegradable and comes in convenient 2 oz. packets. 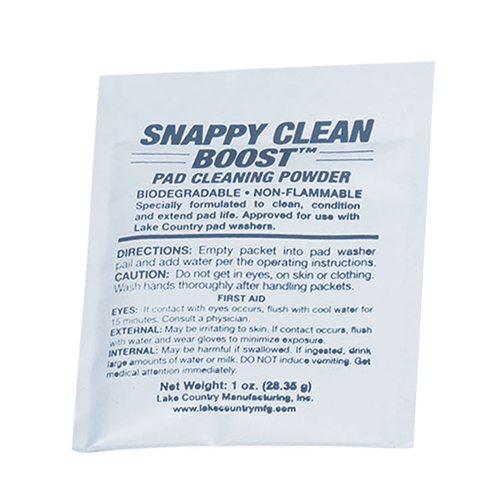 Snappy Clean Boost Pad Cleaning Powder 1 oz.